The RAD-900 Radiometer makes precise measurements of radiometric temperature and spectral radiance. It operates in both the MWIR and LWIR bands and may be used to carry out both 1D and 2D source radiance measurements when installed on the ASB-920 Angular Scan Base. Through its calibration, the RAD-900 provides traceability to national standards and to the International Temperature Scale. Most thermal Target Generators are factory calibrated to provide precise physical temperature differences between their foreground and background, but the reflective or refractive collimators with which they are typically paired attenuate the radiation form these target generators, making the thermal contrast of the target appear smaller than the physical difference. 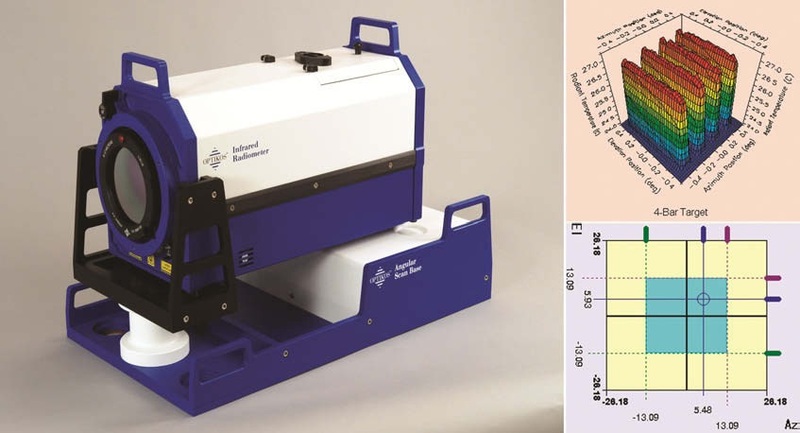 The RAD-900 provides an accurate means to perform a radiometric calibration for a thermal target generation system by accurately measuring the radiometric temperature difference of the target as a function of the physical temperature difference. In this role, it is an essential component of a complete thermal imager testing laboratory. The RAD-900 Radiometer consists of dual band infrared detection and dedicated signal processing. 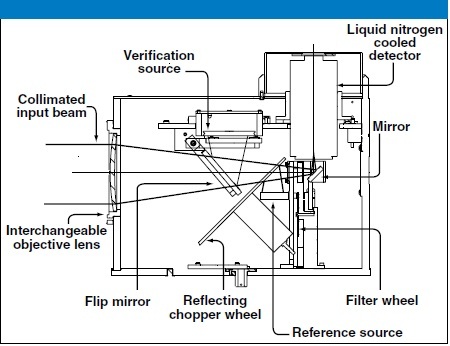 Radiation from the target is focused onto the detector by an objective lens. A reflective chopper alternately exposes the detector to this radiation and the radiation from an internal blackbody. The temperature of the blackbody is monitored by a sensor and is transmitted with the detector signal to a computer for analysis.The radiometric temperature (or radiance) of the target is then calculated and displayed. 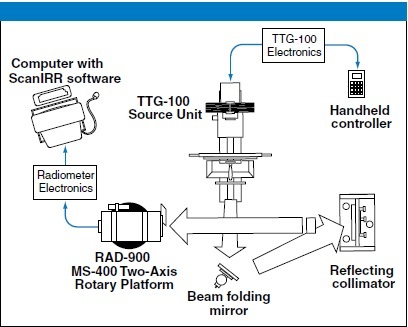 A built-in utility facilitates calibration in the TTG-100 Thermal Test Target Generator. 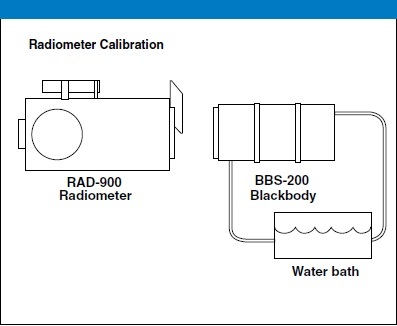 RAD-900 Radiometer can be calibrated using the BBS-200 Black Body Source as an absolute radiometric standard.